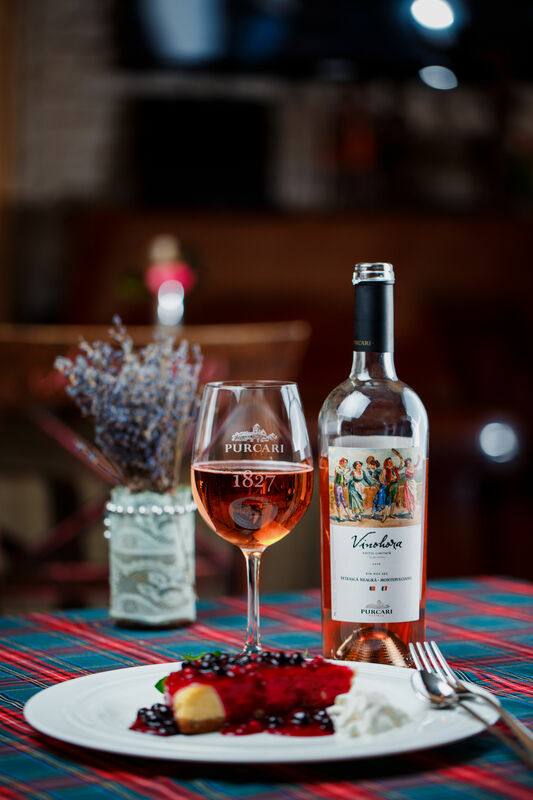 Vinohora Collection – a limited edition of Purcari wines, marries the indigenous varieties of Moldova and international classic varieties. The rosé blend is a Moldovan-Italian Hora, which combines the harmony of Feteasca Neagră with the playful heart of the Italian Montepulciano. Velvety flavor is dominated by peach, cherries and raspberries. The taste is full and fruity with notes of vanilla. 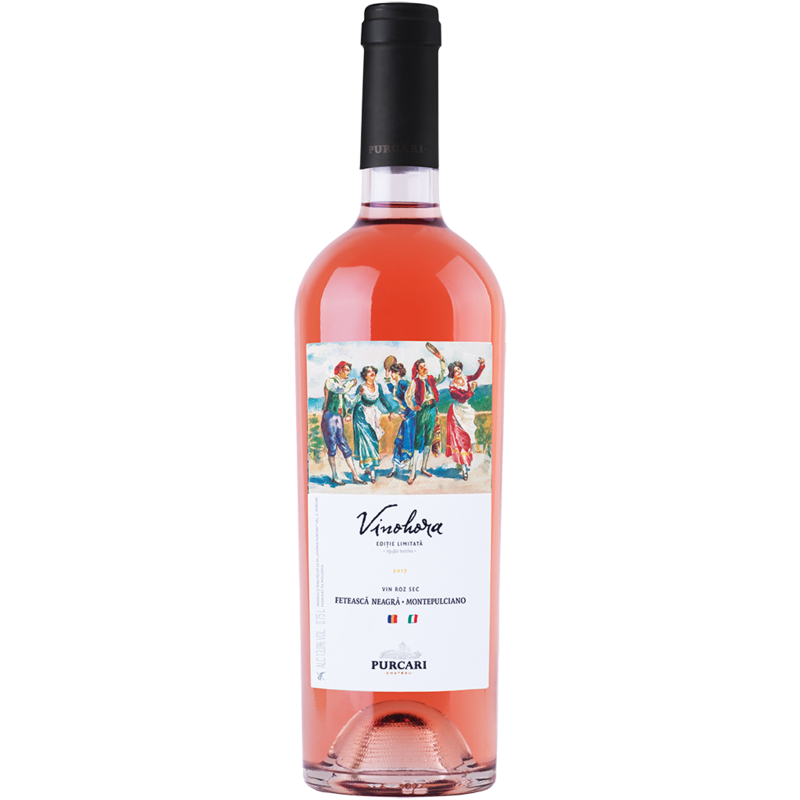 It impresses with a long aftertaste, persistence and a pleasant acidity. plum, and chocolate. Mediterranean dishes, flavorful cheeses and fish dishes. Recommended serving temperature: +10…+12 °С.